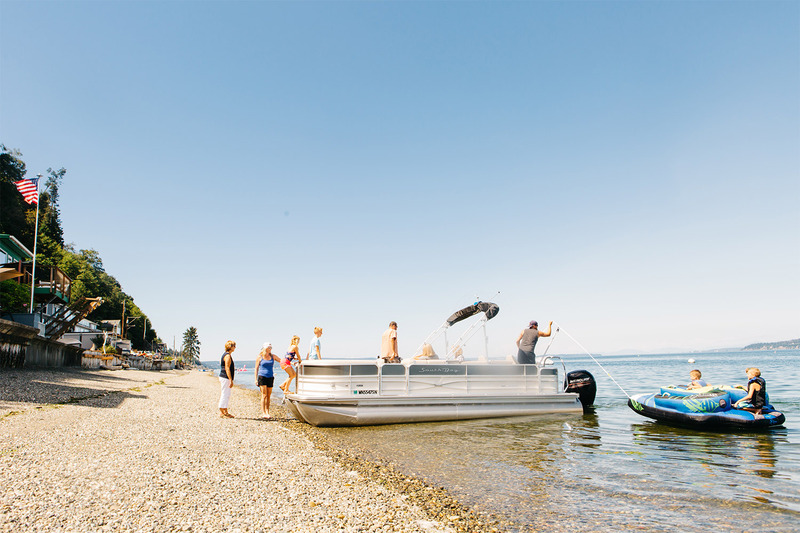 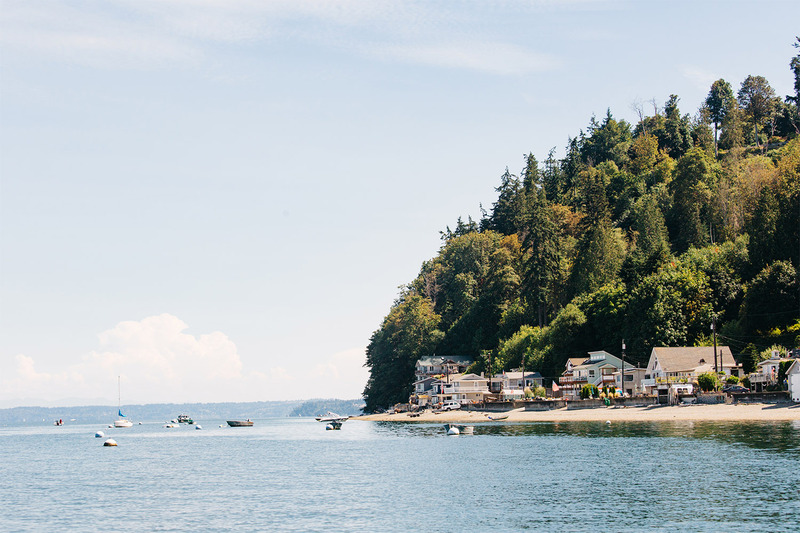 Tyee Beach is a beautiful example of everything that makes Camano Island special. 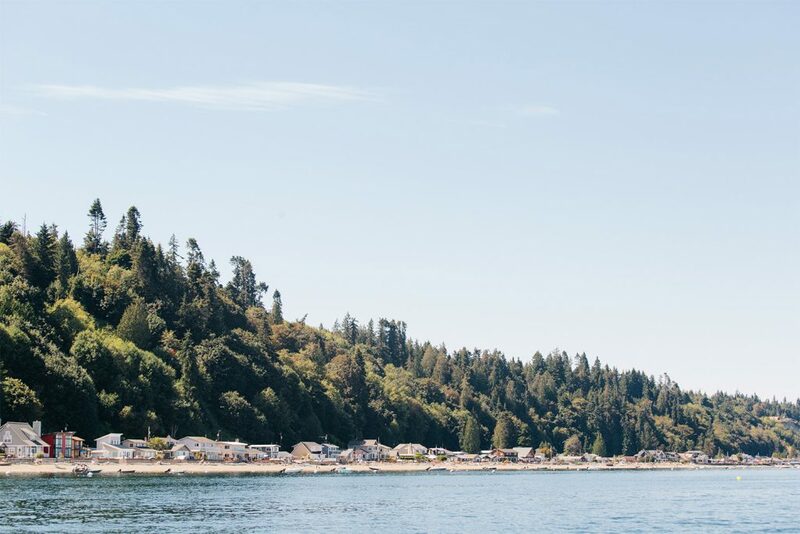 Close-knit community, spacious homes, and gorgeous water views. 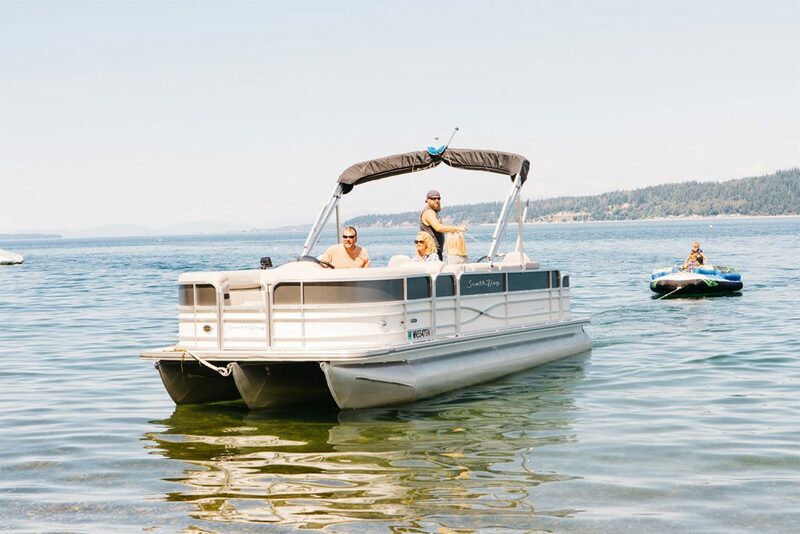 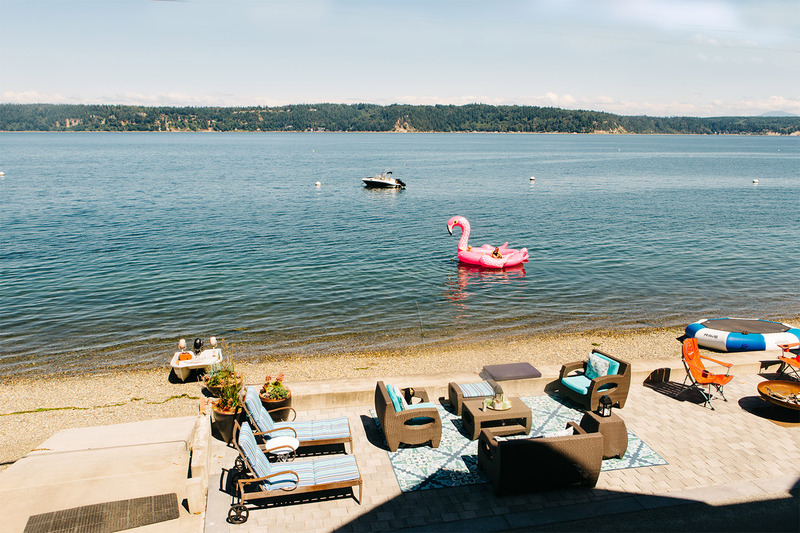 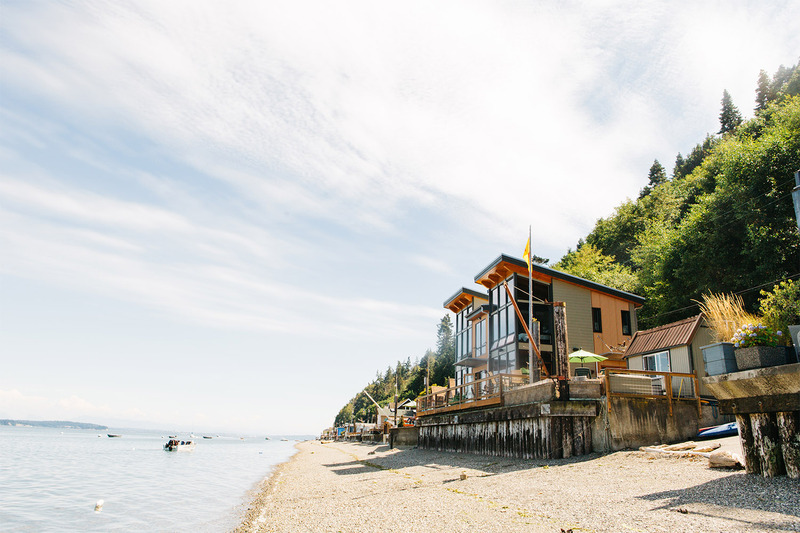 Tyee Beach is known for its friendly, high-energy atmosphere, calm lake-like summer waters, and beautiful views of the Cascades. As the sun sets, the lights of Everett cast an ambient glow in the distance. 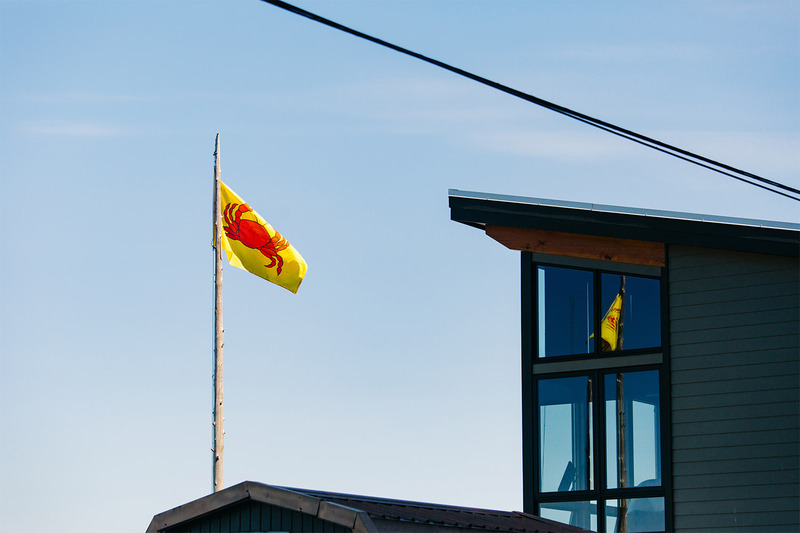 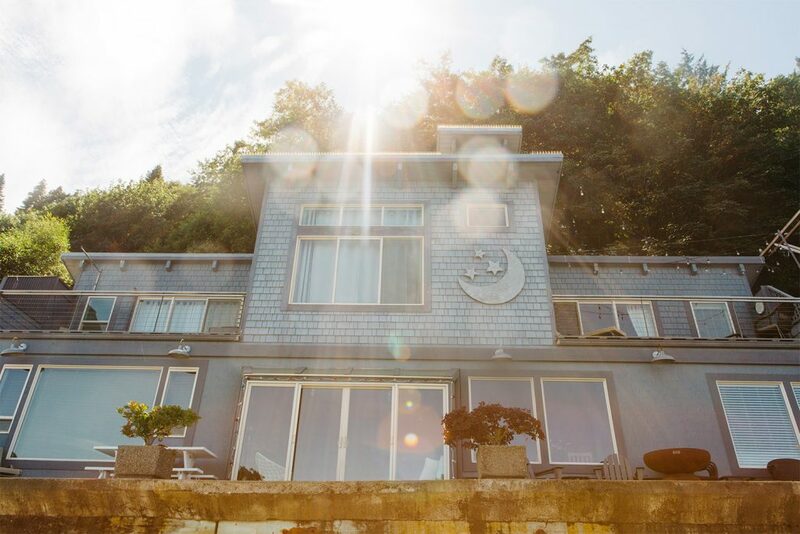 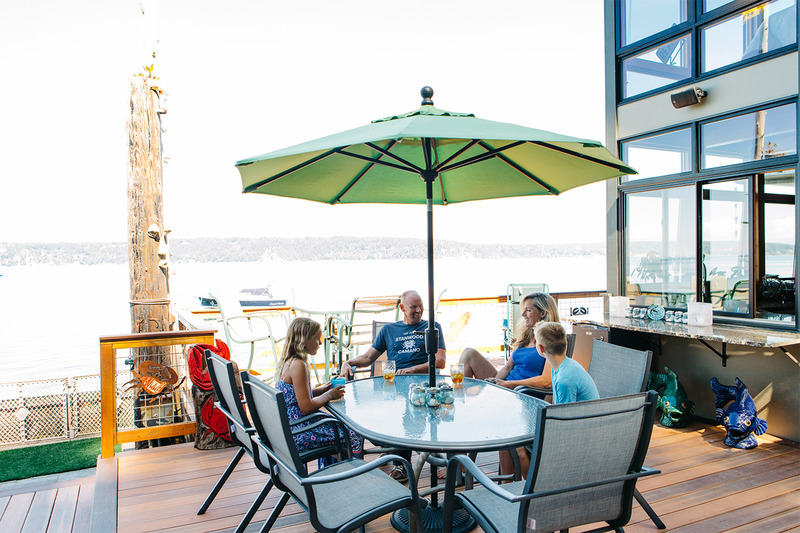 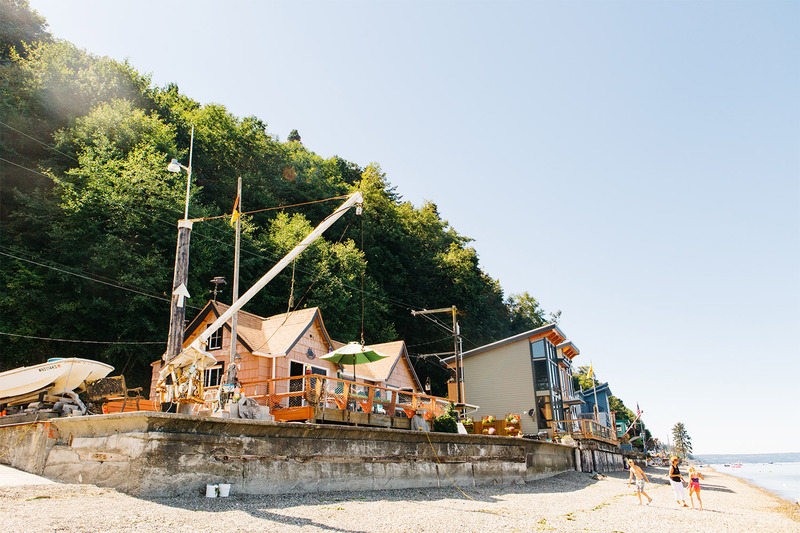 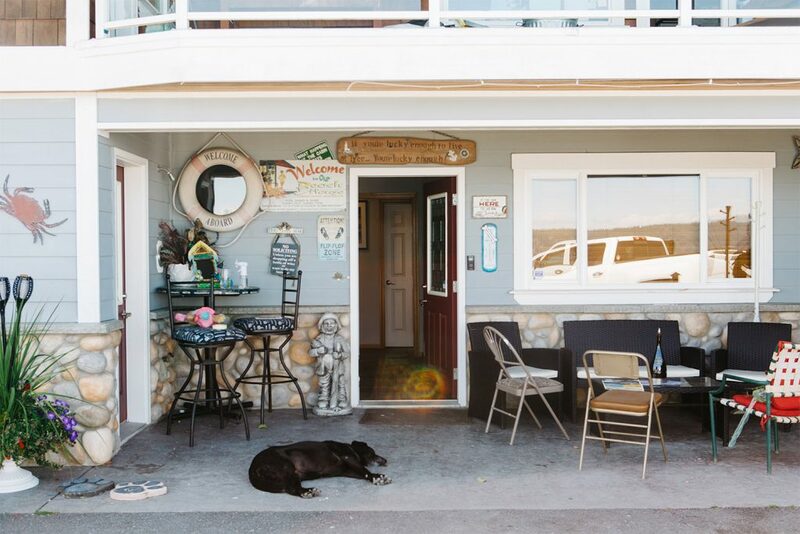 Tyee Beach is an eclectic mix of original and remodeled cabins and beautiful high-end homes. 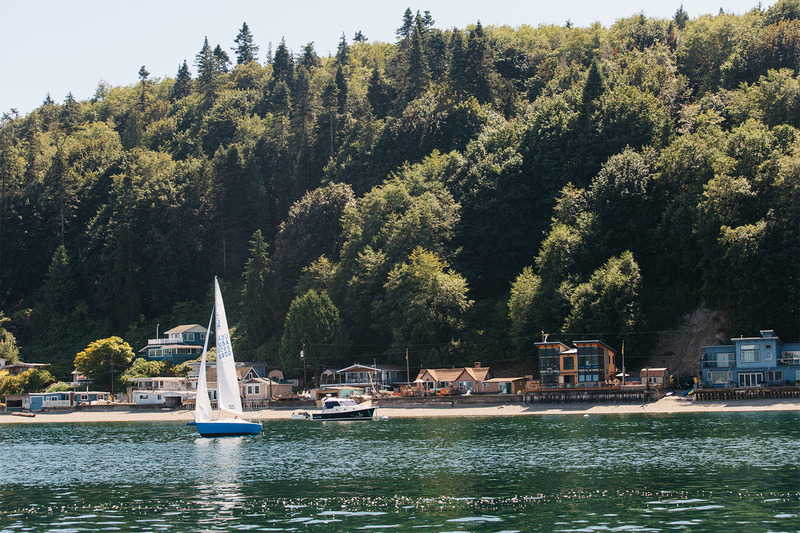 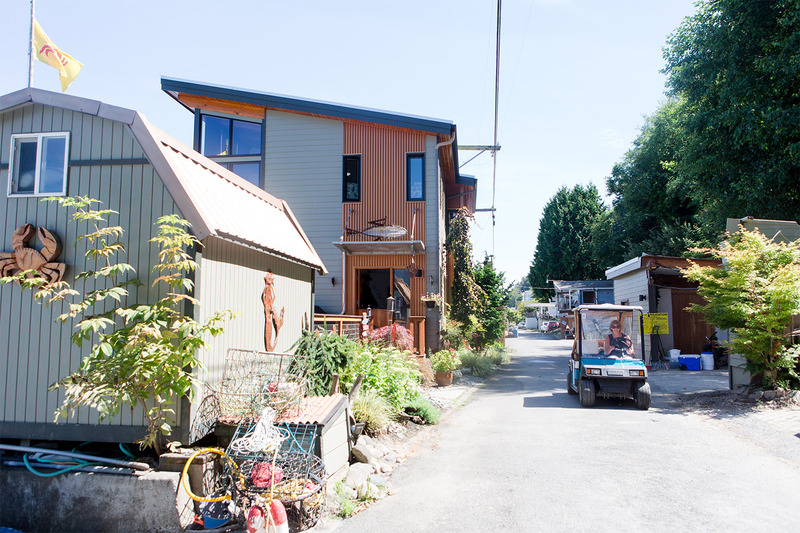 Tyee offers a quiet retreat in the winter and is a lively beach community in the summer. 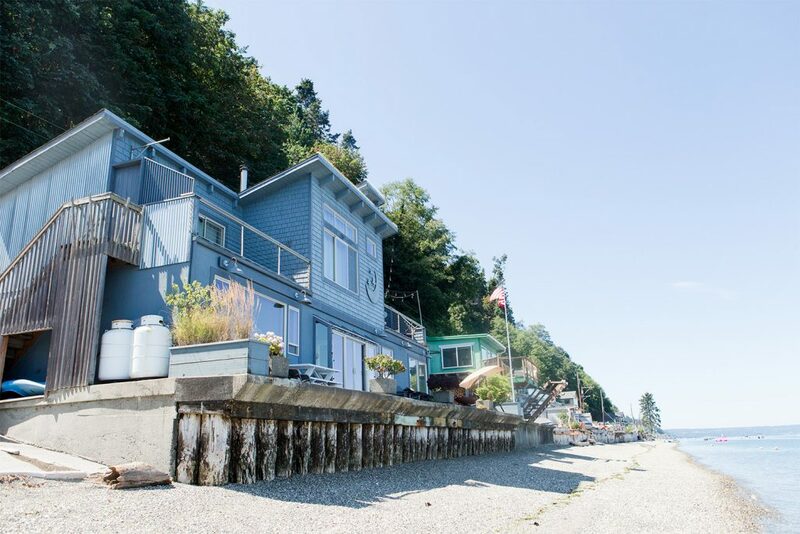 About 30% of the 120 homes and cabins on both ends of the beach are inhabited year-round. In the summer that increases to about 90%, as relatives and friends come to Tyee to enjoy the many summer activities. There’s miles and miles of beach to explore. 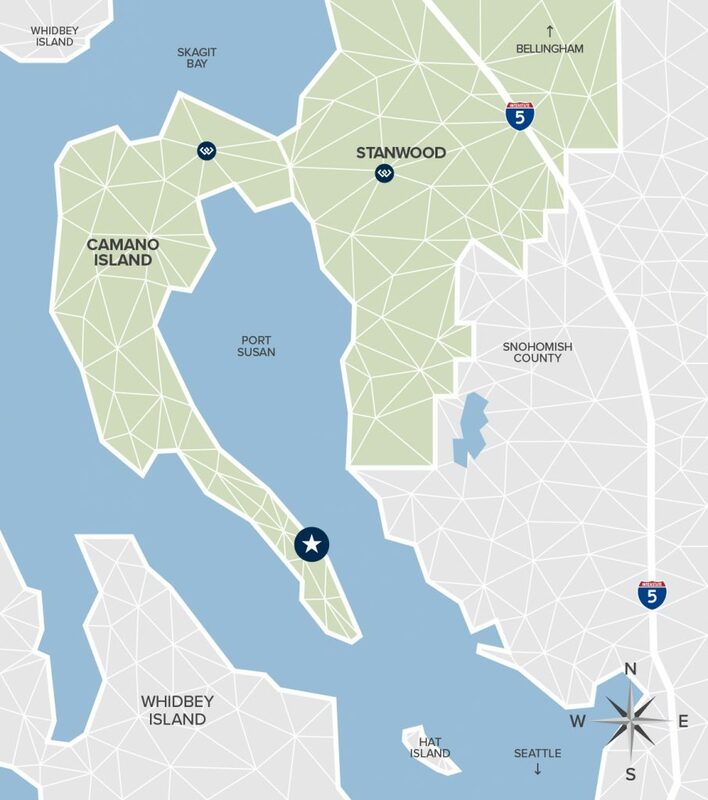 Just past the south end of Tyee, natural beach with absolutely no houses is available to walk all the way to the tip of the island–known as Camano Head–a distance of several miles. Enjoy paddle boarding, wakeboarding, tubing, water skiing, crabbing, and fishing. 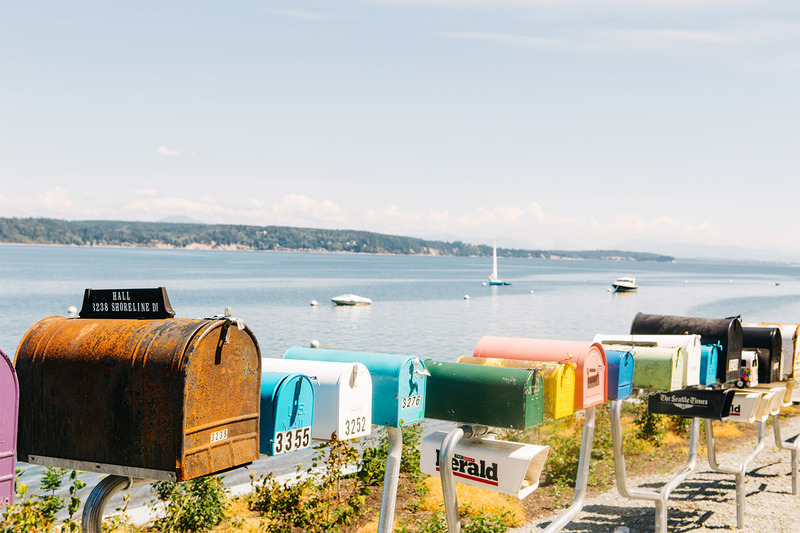 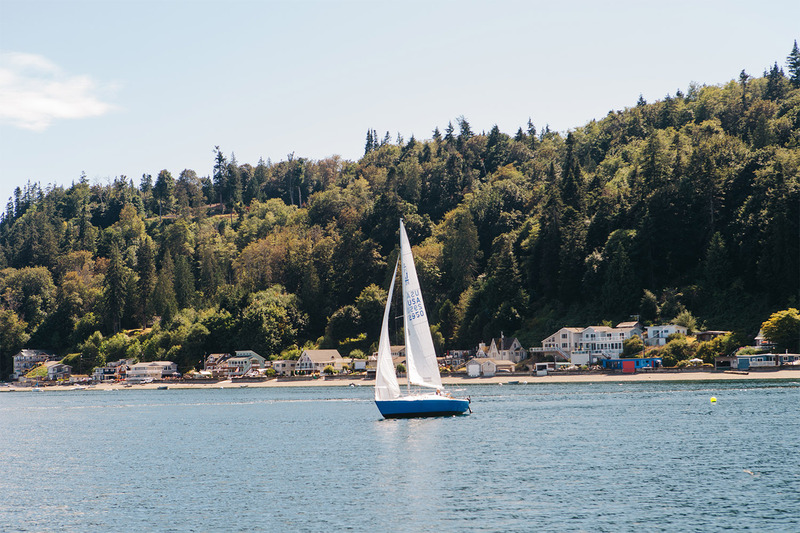 A favorite destination for sail boating is to head over to Langley on Whidbey Island for an afternoon or for dinner. 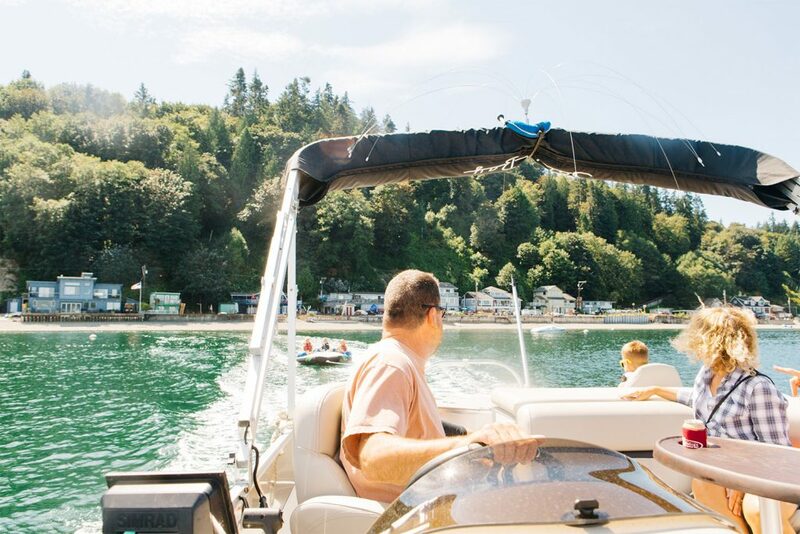 Take a bike or golf cart in any direction on a warm summer weekend evening and see people enjoying fire pits near the beach. 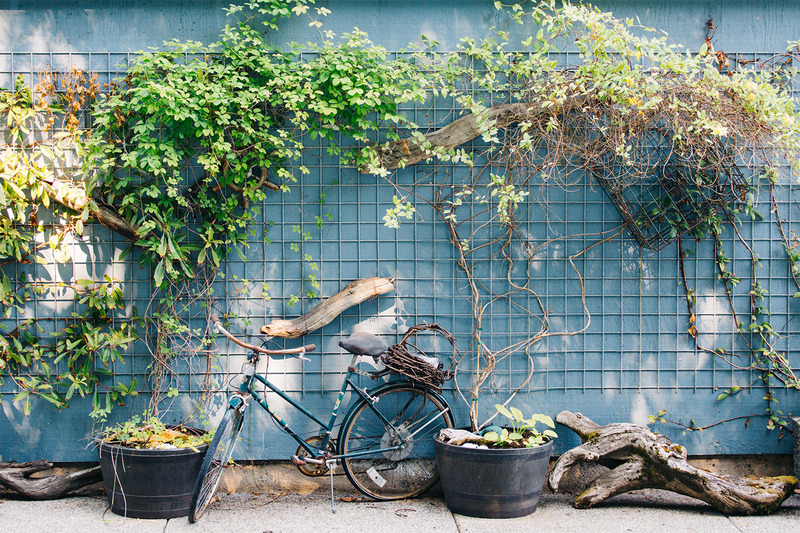 A friendly wave is all the invitation needed to hop off the bike and join the fun! 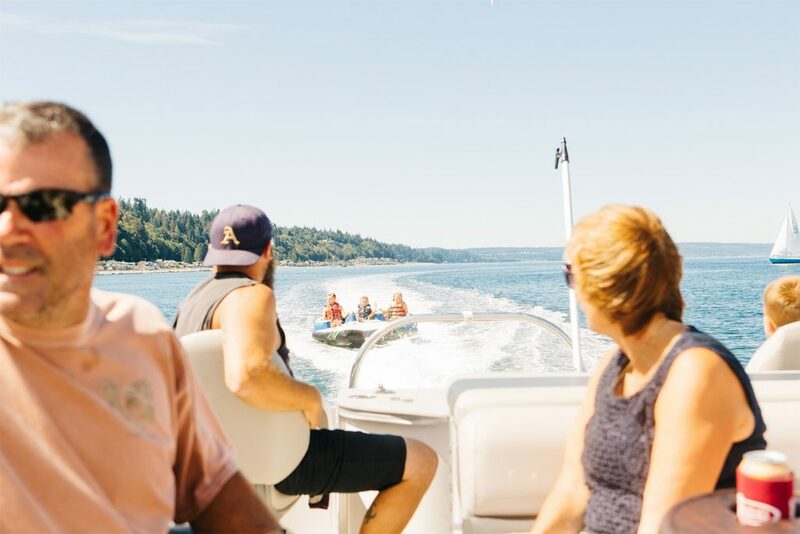 Margaritaville Nights are usually one Saturday evening in July, August, and September and offer another opportunity to catch up with neighbors.. 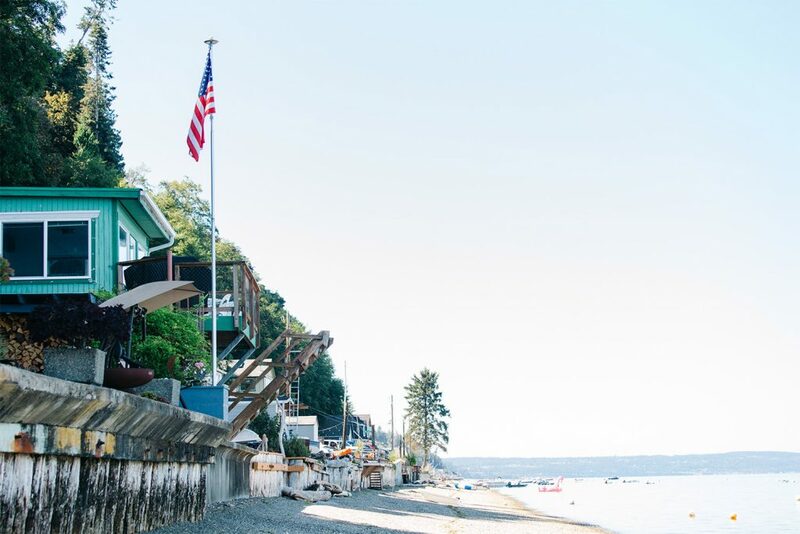 The July 4 Tyee Beach Parade, which this year had more than 200 grandparents, parents, kids, dogs and friends on foot, golf carts, and beach bikes celebrating in all types of colorful costumes. 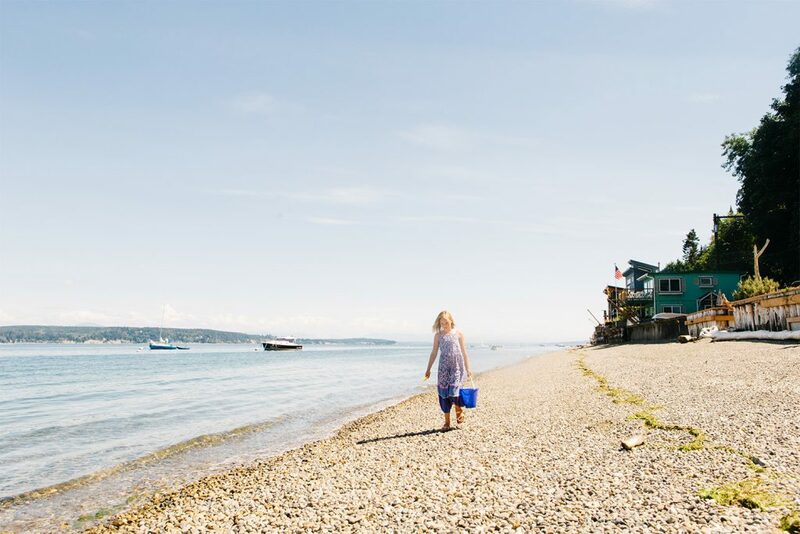 At the end of the route at the far south end of the beach, neighbors put on an ice cream social for kids with face painting, photo ops, and great opportunities to meet and greet people who all share the love of this iconic beach. 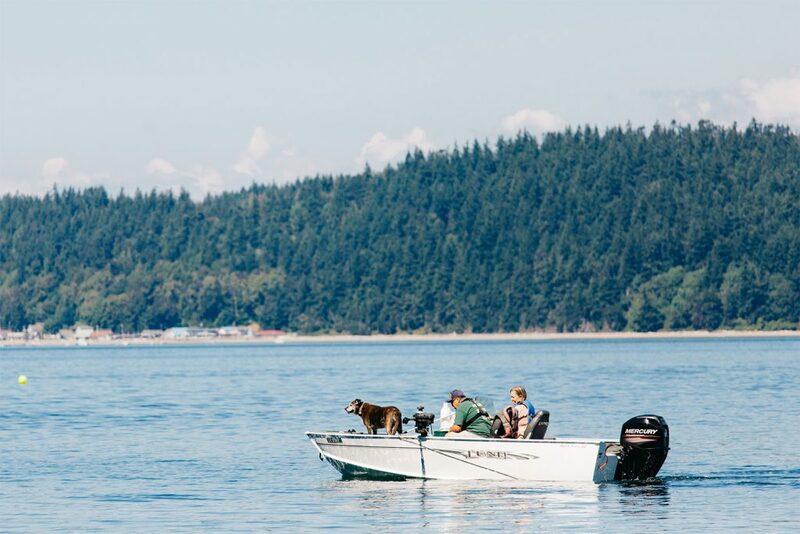 There’s also a Labor Day golf match and fishing derby. 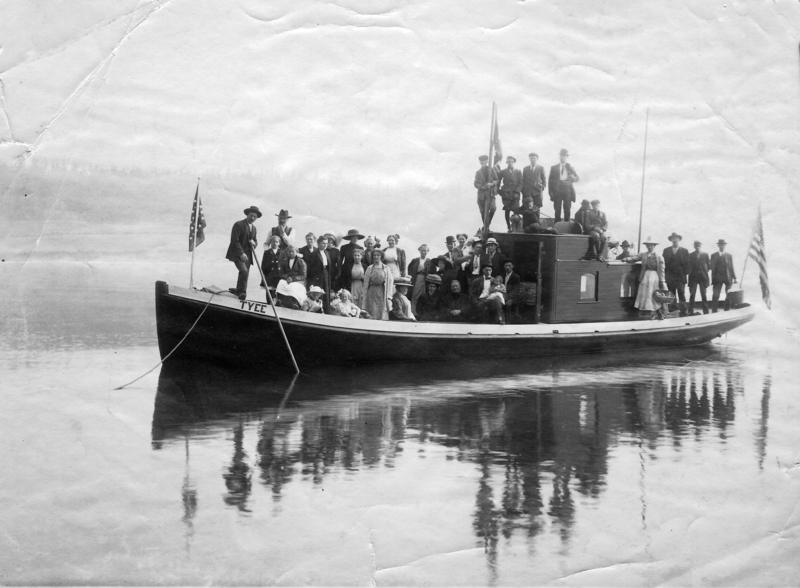 Photograph Courtesy of the Stanwood Area Historical Society. 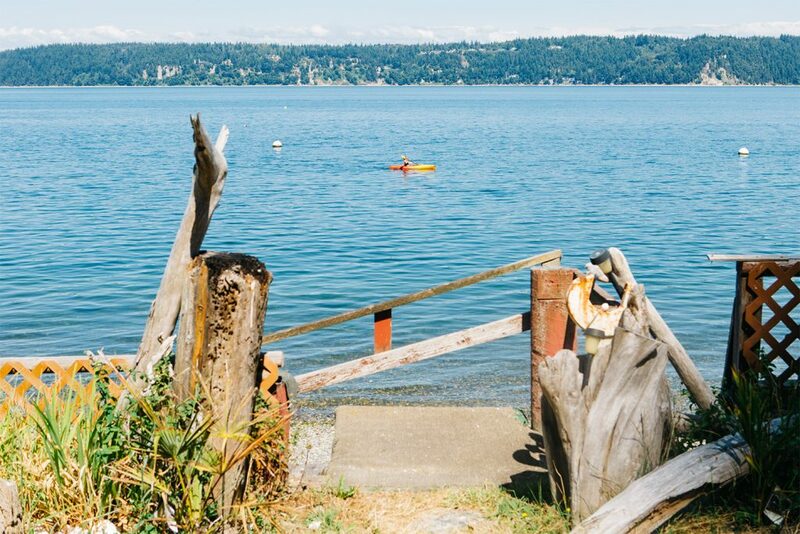 Tyee Beach is a low-bank and sometimes no-bank beach that was created in the 1940s by sluicing the high bluff with fire hoses! 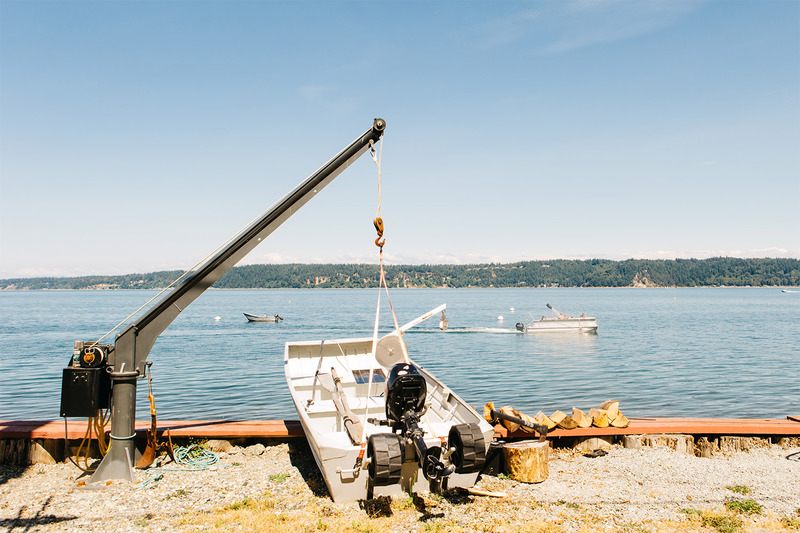 The people doing the sluicing were also searching for gold that might have been present in the hillside soils. 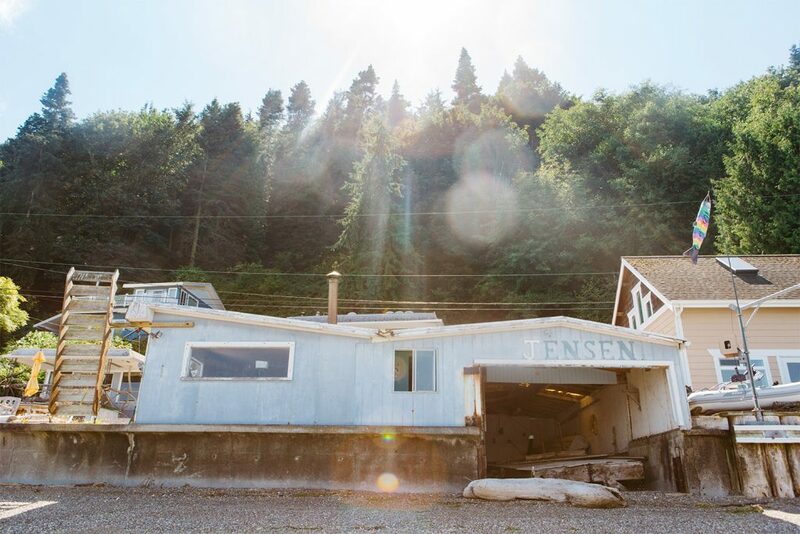 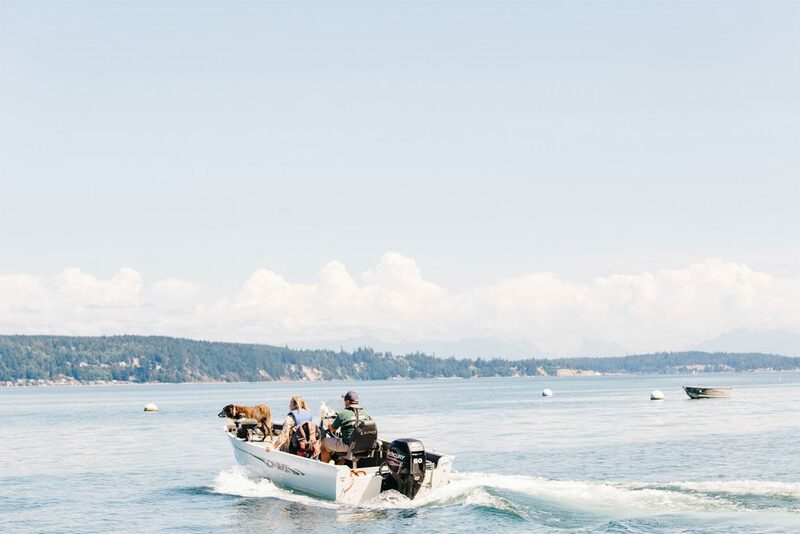 Once the beach was created, people began buying lots and erecting summer cabins and Tyee became a favorite location to fish for the plentiful salmon in Port Susan. 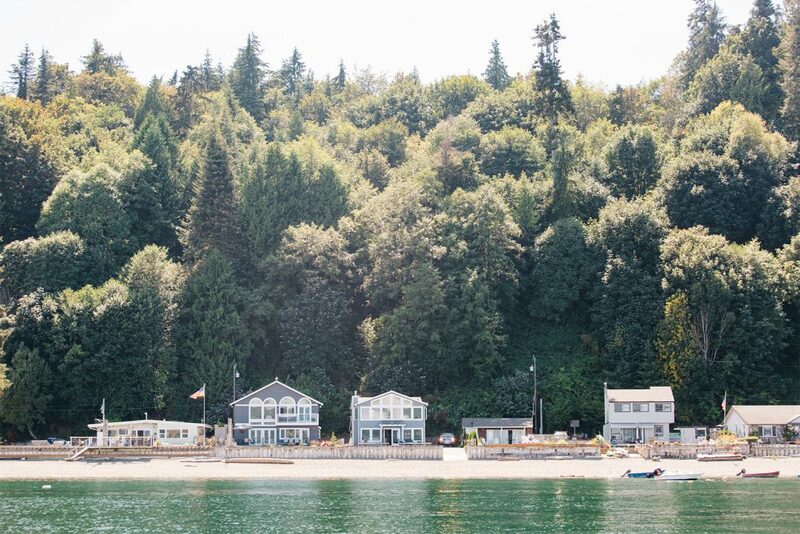 Some of the small cabins were fishing rentals and there are still a few old boat houses still standing where you could once rent boats and motors, get ice and refreshments, etc. Now many of these boathouses are used as cabanas or as boat storage. 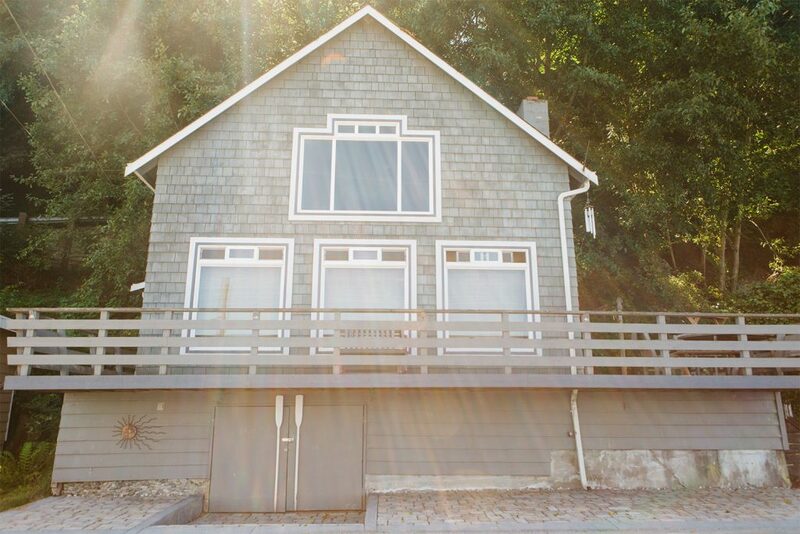 Today, many of the original cabins still exist and have been handed down through the generations. 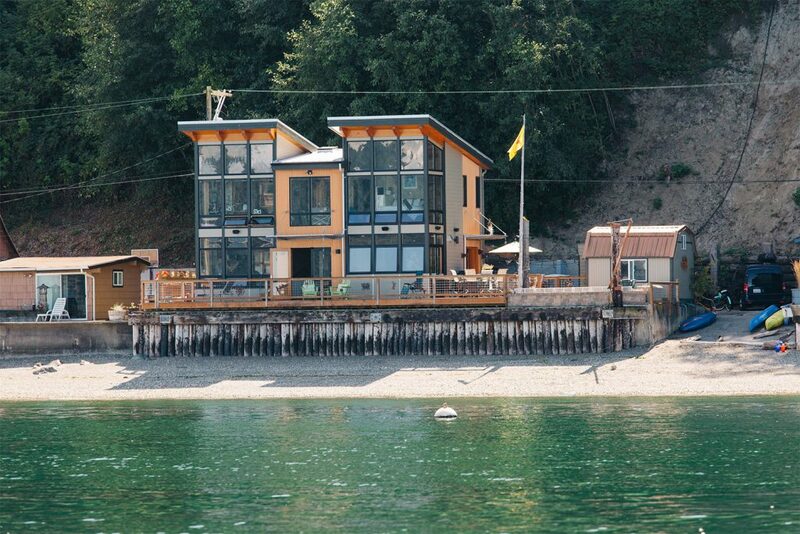 Some have been purchased and remodeled. Others have been torn down with new beach houses built in their stead. 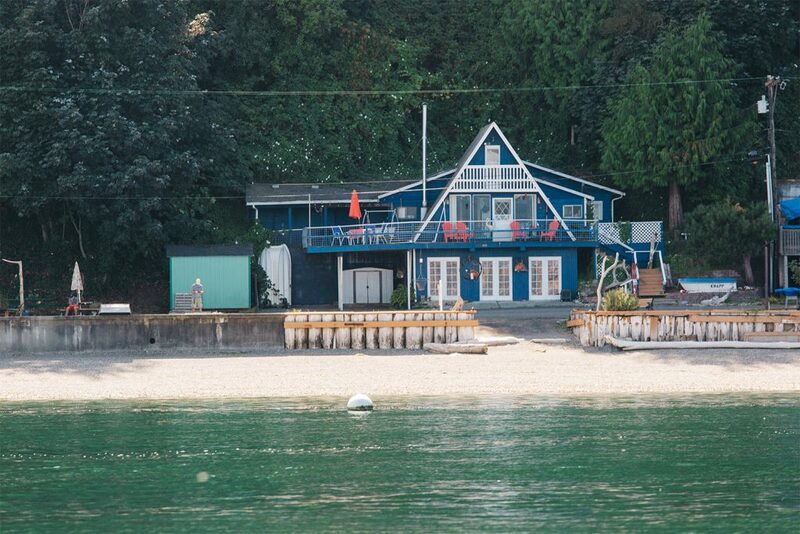 Want More info About Tyee Beach?